The presence of a nose gives away that the 2019 Hiace provides the driver with more legroom. Filipino fans of the Hiace van were surprised by Toyota Motor Philippines Corporation (TMP), as it introduced the 2019 Hiace in February 2019. The Japanese brand’s best-selling van sure got its solid fan base in the local market, though the all-new generation received both positive and negative remarks. 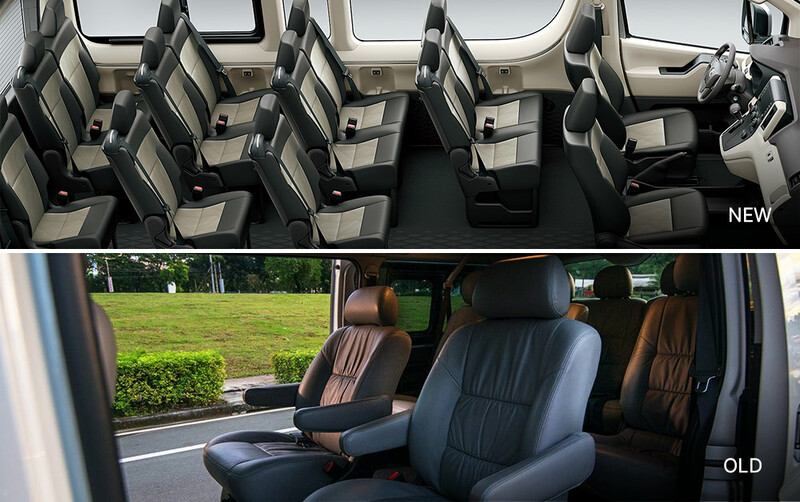 Introduced almost 15 years since the last model, the all-new Hiace looks more appealing and spacious that what it used to. 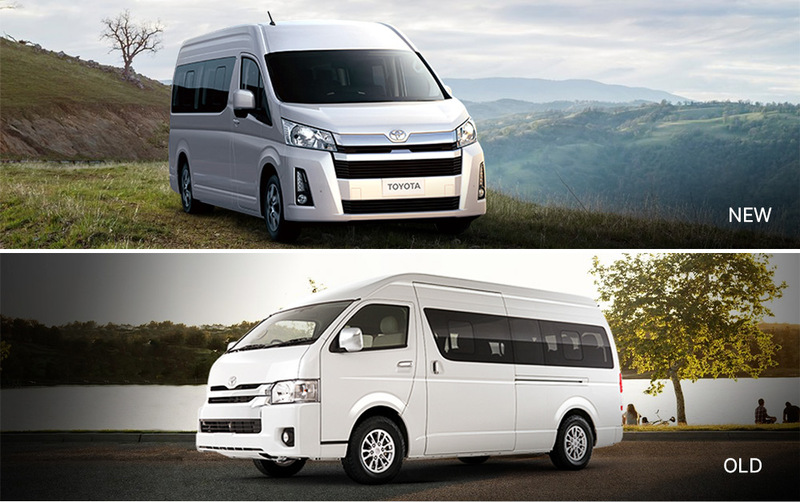 Following our tradition of placing the old and the new in a ‘fascia-to-fascia' battle, we compare and distinguish how far Toyota went in changing the well-loved Hiace. Shall we take a closer look? We know you’re used to hearing the word ‘facelift’ when talking about a new-looking model that isn’t entirely a new generation. Scrap that word for a moment, the 2019 Toyota Hiace literally went for nose job. The sixth-generation model’s ‘rhinoplasty’ gave it a nose, far from the flat-face it had for almost a decade and a half. The nose let the engine a little further to the front, giving additional room for the driver, as well as even the passengers. What’s not to like in it? It now looks like a bigger Alphard – just a little boxy, straightforward with the design, and a little taller. 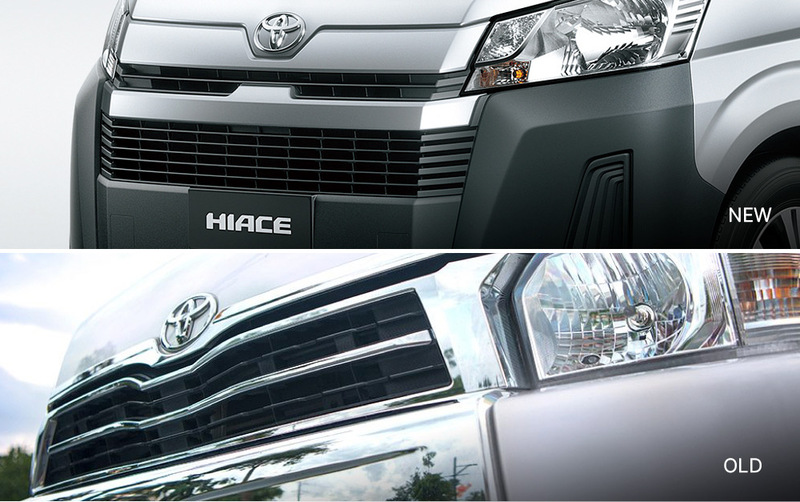 It’s actually refreshing to see the Hiace with a nose, don’t you think? 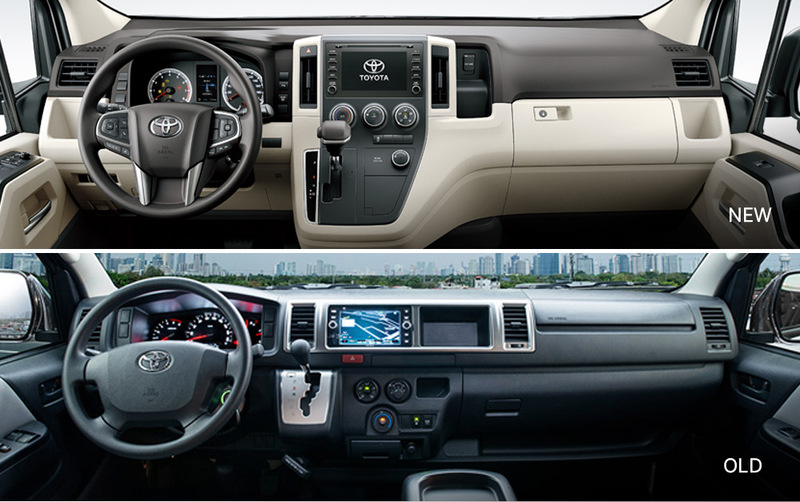 The interior had its much-needed update that’s easily recognizable – thanks to the rearrangement of the dashboard elements. The steering wheel has been changed; it now features a three-spoke design. Higher variants get steering controls for audio and cruise control. Despite the changes, it still has the dashboard-mounted shifter that we all grew up seeing. Another thing we like about the interior is the upholstery material of the GL Grandia variants, which come with fabric and vinyl leather combination. It also comes with good color combinations. Meanwhile, the Commuter Deluxe’s fabric seats looks nicer than its predecessor’s seat material. The slew of aesthetic changes is complemented by the cabin space that’s brought by the 2019 model’s nose lift. The old Hiace come with a 3.0-liter diesel engine with 136 hp and 300 Nm of torque. Thanks to the sixth-generation upgrade, this power output was brought to it next level – though the displacement is smaller. The all-new Hiace comes now comes with a 2.8-liter diesel engine, capable of varying power outputs depending on what trim you’re looking at. 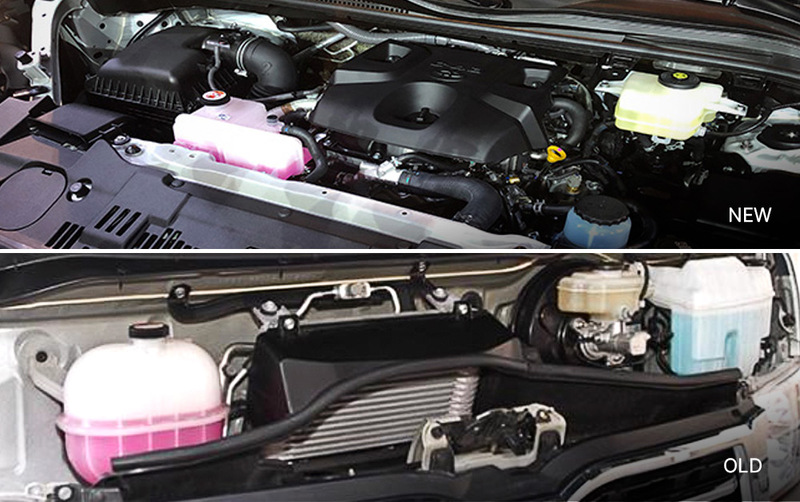 The Commuter Deluxe and GL Grandia MT has 176 hp and 420 Nm of torque. The GL Grandia AT, on the other hand, has got 176 hp and 450 Nm of torque. The range-topper GL Grandia Tourer is at 163 hp and 420 Nm of torque. There are two transmission options for the 2019 Toyota Hiace: a six-speed manual and a 6-speed automatic transmission. Meanwhile, all GL Grandia variants come with a special color, which Toyota calls the Luxury Pearl Toning. Price point for the Hiace’s old and new iteration aren’t that far from each other, as the base variants of both generations are within the range of P1.4 to P1.6 million. 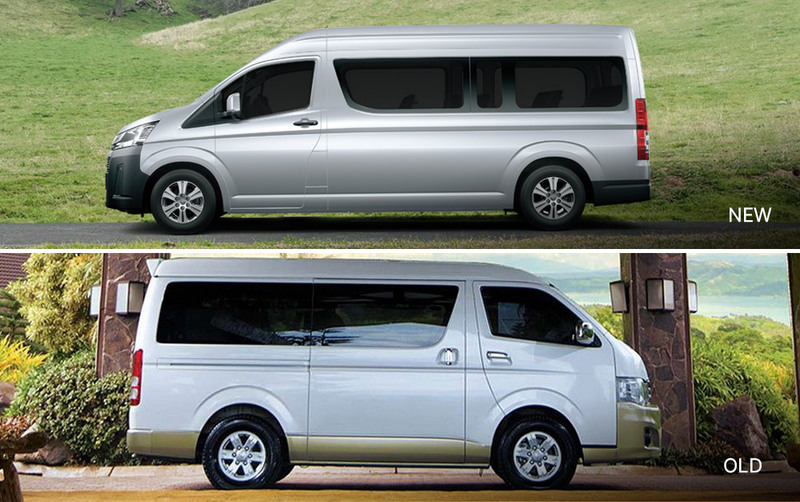 There are five variants of the 2019 Toyota Hiace, another four for the special Luxury Pearl Toning. Price range is between P1,590,000 and P2,235,000 for the base Commuter Deluxe to the range-topper GL Grandia Tourer. 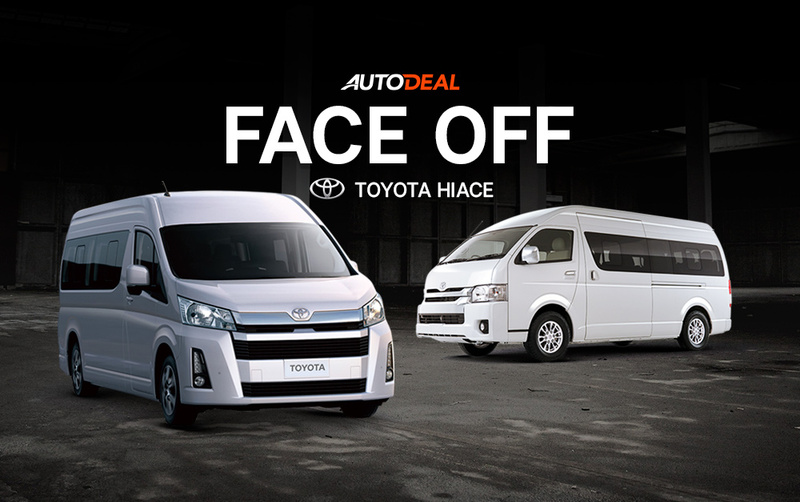 If you want to know more about the 2019 Toyota Hiace, Visit the AutoDeal Car Guide, where you may find its prices, specs, and variant range.